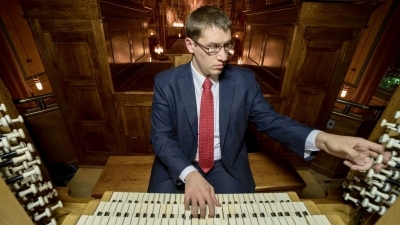 Levente Medveczky served as Cathedral Organ Scholar from December 2015 until August 2017 and was a dear friend of many of us at the Cathedral. He passed away on 24 February 2019, just over a week after he turned 28. A Memorial Service for Levente will be held in the Cathedral of the Madeleine on Tuesday 9 April 2019 at 7:30 PM. Some of his teachers, friends and colleagues will share memories and pay tribute to Levente through performances of organ music. Please contact us at: gro.o1556215895gavu@1556215895ofni1556215895. We will be happy to assist you.